UK Government Will Criminalize File-Sharers. No Turning Back. The UK government is not going back. Pirates will be punished. Harshly. Perhaps we should make it official. The UK government, no matter what happens next, is not going to back down from the Digital Economy Bill. It will move ahead with full steam. And criminalize anyone found of file-sharing activities. What harm could a generous activity like file-sharing bring to the society at large? If done the right way that is. Or the wrong way depending on your perspective. If you share illegal files on the internet and let people download it for free then that is bad. Illegal files, here, means copyrighted material. Material like movies, TV shows, documentaries, books and all sort of media that can be uploaded to the internet. Back to the UK government though. 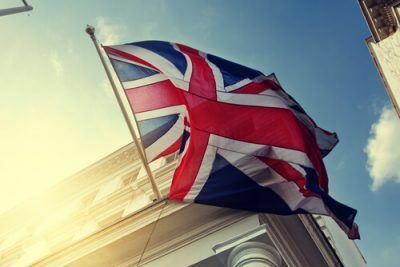 It seems like it won’t be long before the new Digital Economy Bill blasts its way through the British parliament. What does the Digital Economy Bill achieve exactly? And depending on your online activities, it could really mess up your life. Especially if you live in the UK. We’ll come to that at the end of the post because the solution is rather simple. But first, let’s talk a bit more about this thing called the Digital Economy Bill. The Digital Economy Bill, in its current form, will harmonize all forms of penalties. It doesn’t matter if the crime takes place in the online world or the offline world. More specifically, though, online copyright infringement will be treated the same as offline copyright infringement. Not a pretty sight or is it? If you hang around long enough you will see exactly how it gets slightly worse than this. Right now the figure that is being thrown around is ten years. That is ten years of jail time if you are caught infringing copyrights either in the real world or the online one. But that’s old news right? Why are we talking about it now when it seems likely that it will pass through the parliament without much opposition (if any). We’re talking about it because there is a small chance that the penalties might get revised. Open Rights Group had previously requested the parliament to reconsider the punishments for online and offline offenses. More precisely, the group wanted a threshold to be implemented as soon as possible. This proposed threshold would appropriately differentiate between serious (and mostly serial) offenders and part-timers or petty ones. In an ideal world, the UK government would have jumped on the chance to actually involve everybody in the process. Process of coming up with long-term punishments for the people of UK that is. But that’s for the ideal world. Let’s come back to the real world. In the real world, the UK government did nothing to indicate that it is/was interested in a deal. Perhaps this proposed threshold should not be considered as a deal. After all, both sides of the conflict should have adequate rights. Right now, it is the law enforcement agencies who are winning in every sense. More power generally means that law enforcement agencies will be able to carry out their duties much more swiftly. But that doesn’t have to mean that the other side, potential pirates, get neglected altogether. Their rights should matter as well. Because at the end of the day it is more about justice and less about the actual punishment. Right now, the UK government doesn’t seem like it wants to establish justice. Why Is This Digital Economy Bill Issue Just Starting To Pick Up Pace? What about the citizens of the UK? They should have a say, in other words. The internet has been around for quite a while right? So why bring this Digital Economy into the discussion in 2017. Well, to really understand that, let’s open up the history book and read some material. The internet wasn’t considered to be a basic human right in the 1980s. It’s hard to believe but a few decades ago the internet didn’t even exist. But copyright laws indeed did. And here lies the primary problem. The copyright legislation that existed in those times mainly focused on copyrighted content that was discovered in the real world. By real world, we mean the physical world. And because of such laws, almost all countries in the world can deal with criminals who sell counterfeit CDs and DVDs very competently. Robust legislation always does a society more good than harm. Old and outdated ones generally manage to achieve the opposite. And such is the case when it comes to digital content that exists in the online world. Or perhaps that’s a gross understatement. Because in the year 2017, all our interactions with the world happen through the digital medium in one way or the other. More content is produced via services such as WhatsApp and Facebook in a day than the telephone service in a year. And all of that is possible because of the rise of the internet and the digital content that it has made ubiquitous. The problem is that most of that old legislation is now irrelevant. The rest of the old legislation is really struggling to keep up with the online world. To really understand this issue, one has to look towards the UK. Currently, the laws in the UK have determined that any offline infringement can be punished by a maximum of 10 years spent in prison. What about online copyright infringements? Will someone speak up for the rights of the people? Yes. Say hello to Open Rights Group. Present laws say that anyone found to have infringed copyrights in the online world is to be punished by a maximum of two year jail time. If you want to blame someone for trying to change the current laws then Mike Weatherley MP should be your man. Back in the year 2014, Mike was the UP advisor to the UK’s prime minister, namely, David Cameron. Back then Mike said that the existing disparity between online and offline infringement punishments sent nothing but the wrong message to the rest of the world. He also suggested that the UK government should take steps to rectify the situation. Now, in 2017, the UK government seems to have woken up. And it is ready to make some drastic changes. Yes, we’re talking about legitimate ten-year prison sentences for crimes related to online copyright infringement. The Digital Economy Bill may not have become the law just yet but it’s not going to be long before it comes a reality. And when that happens, each and every pirate in the UK, whether professional or part-time is set for a rough ride. Let’s just start off by saying that the Digital Economy Bill isn’t exactly a one-page document. It is quite lengthy in fact. So what we will talk about is one of its amendments. The amendment which ticks all the boxes when it comes to rightsholders groups and the rest of the cabal. What the amendment doesn’t do is address the concerns and rights of the general public. And that, as you can probably imagine, is a serious problem. If the current draft of the proposed law gets passed in its present state then it’s even more bad news. And what kind of bad news? You intentionally/unintentionally make available an amount of copyrighted material on the internet. Do take notice that the Digital Economy Bill says any amount. It doesn’t mention if a person will go to jail if he/she shares just a single file. Either with his friend/relative or uploads it to a torrent site with millions. There is no distinction at the moment. You will also face prison time if you share copyrighted content without permission. Doing so will make you criminally liable. If, while in the process of uploading and sharing files, you expose the related copyrighted owner to some form or even risk of loss then you go to jail. Not that complex or is it? Needless to say, the Digital Economy Bill in its current form is just too broad. Moreover, it also gives the rightsholders an immense amount of discretionary power. Well, how is the law going to decide whether a rights holder group has been exposed to a risk of loss? How much loss are we talking here anyway? Again, there are no specifics. Additionally, the Digital Economy Bill in its present state could prosecute people for any amount of copyright infringement. That could potentially set the entry bar for going to jail pretty low. Is Someone Or Something Doing Something About The Digital Economy Bill? Nobody is accusing anyone of being a pirate. But regardless of that fact, Open Rights Group has decided to come out and take notice of the proposed Digital Economy Bill. The Open Rights Group recently put quite a lot of pressure on the UK government to change the Digital Economy Bill. What do you include and what do you exclude? The Open Rights Group seems to have an answer. The group has suggested to the UK government that they must be specific about the wording. To put it another way, the legislation should make an effort and ensure that there is a clear and concise threshold for criminal liability. Moreover, it should be written into the law rather than be left to further interpretation of the law. The Open Rights Group expressed its doubts about another aspect of the Digital Economy Bill. 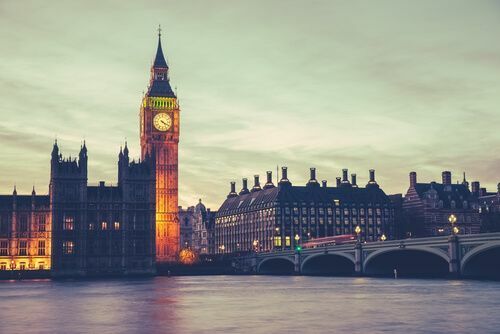 Mainly that the new Digital Economy Bill and all its amendments could give more impetus to copyright trolls to ramp up their activities in the United Kingdom. Thankfully the government has responded to the concerns addressed to it by the Open Rights Group. But the answer doesn’t look positive. infringing a performer’s “making available” right. Moreover, the UK government also communicated that both of the aforementioned activities were considered criminal where a person knew or had reason to believe that they were infringing the rights of the producer. 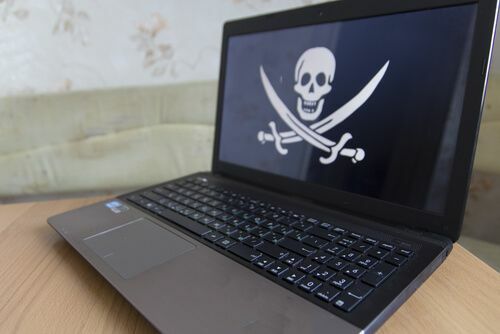 Furthermore, the statement from the government also said that the law also applied to situation where the copyright infringer intended to make money from the copyrighted material. And God help you if the producer of the copyrighted content had reason to believe that the copyright infringer would cause a loss or expose the rights holder to a tangible risk of loss in terms of money. But just to illustrate another point. The UK government made clear in no uncertain terms that the offenses mentioned above focused on those infringers who were causing harm either to make money or causing risk or loss/monetary loss to the rights holder. Believe it or not but the statement also introduced a mental element into the picture. More specifically though, the statement read the a mental element had been introduced which required an intention to make a gain or knowledge or reason to believe that the copyright owner would suffer loss or be exposed to a risk of loss. The group didn’t stay quiet for long either. It came right back with a solid response. If you want to then you can read the full response here. The main argument of the Open Rights Group seems to be that there are cases where several small copyright infringement could be considered to be intentional. The Digital Economy Bill, if passed, could be used to criminalize anyone who uses a celebrity photograph on his/her personal website. 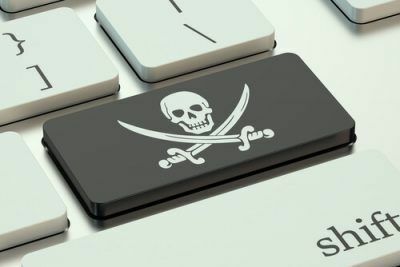 Another example would be of low-volume file sharing on networks such as torrent sites. The group said in its official statement that as they had said, publication without a license was often an intentional act. In that case, people either knew or ought to know that they were getting involved in copyright infringement. The statement further read that the real question was not if someone was a criminal or not. The real question was whether the usually minor copyright offenses were worthy of criminal punishment. If the Digital Economy Bill stays the same, then those minor offenses could be considered to be criminal under the proposed offense. The Open Rights Group also pointed out that they fully understood that those small time offenders were not likely to be put in jail. But that did not answer the question as to why the government would even consider criminalizing minor copyright infringement acts. The group ended the first part of its statement by saying that the copyright offenses should be subject to civil charges. No one knows if the UK government will respond to Open Rights Group’s concerns. Or better make the required changes in the Digital Economy Bill. Till then, we’ll just have to wait. The solution is to use a VPN service. That way no one will know what you’re doing on the itnernet. It is the highest rated VPN service on our site. To read IPVanish full review, go here. Is Bitcoin Sustainable? Not Yet. Here Is Why.